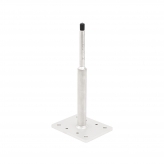 Type C lifelines are the low-cost solution to secure environments that pose a risk of a fall from a height pursuant to standards EN 795:2012 and CEN/TS 16415:2013. Sicurpal's lifeline range includes different systems to meet most of market demands. Sicurpal designs and manufactures its products with extreme attention to quality, choosing materials such as stainless steel and aluminium for components that need to be resistant and long-lasting and low-cost materials such as hot-galvanized steel for those parts less susceptible to chemical corrosion and wear and tear. This way it can provide excellent quality at an affordable price. All of our products are made in Italy and entirely manufactured in our Bastiglia plant, from cutting to welding down to laser-branding. 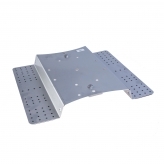 Lifeline for roofing with low structural resistance and a flat base. 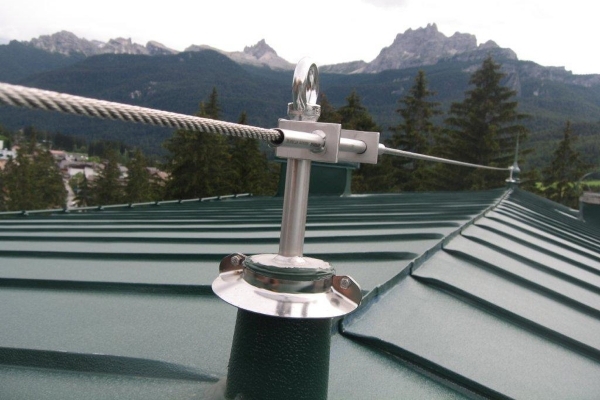 Lifeline for roofing with low structural resistance and ridge base. Economy lifeline with galvanised posts. Lifeline for hanging gardens and green roofs. Thermal cut lifeline. Height: 65 cm.